Meet Natalia Doan (Nagoya, 2008), Our September Alum of the Month! Home | About Us | News & Announcements | Meet Natalia Doan (Nagoya, 2008), Our September Alum of the Month! 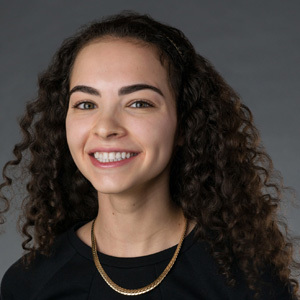 Ever since her first Japanese course freshman year, Natalia knew she wanted to make Japan and the Japanese language a part of her career path. 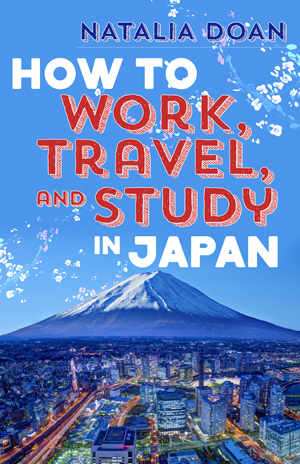 After two different semesters studying and subsequently working in Japan, Natalia wrote a new travel guide called How to Work, Travel, and Study in Japan, an endeavor she says would not have been possible without IES Abroad Nagoya and Nanzan University. Read on to learn what inspired her and what she’s up to now. You’ll even get a special sneak peek into the most surprising tip in her guidebook! IES Abroad: Why did you choose Nagoya? Natalia Doan: I had already studied in Tokyo, so I knew that for my semester abroad, I wanted to go to a different city in Japan. IES Abroad’s Nagoya Direct Enrollment Program at Nanzan University offered a variety of interesting classes and club activities. I wanted to attend classes with Japanese students and IES Abroad made that possible. I think that, with an open mind, you can have a valuable study abroad experience anywhere, but Nagoya was definitely the right place for me. IES Abroad: What is the most valuable lesson you learned while studying abroad? ND: Your classes are important, but not as important as what you do outside of the classroom. Wake up early. Go on every excursion you can. Get to know your classmates. Take advantage of every opportunity that comes your way, and keep in touch with the people you meet. You never know when your paths may cross again. A girl I was partners with for a Japanese class project ended up living three doors down from me in an apartment in Osaka two years later. Last month, I went to the wedding of one of my best friends, whom I met on the bus to an IES Abroad field trip. Studying abroad taught me to be open to new people and experiences. 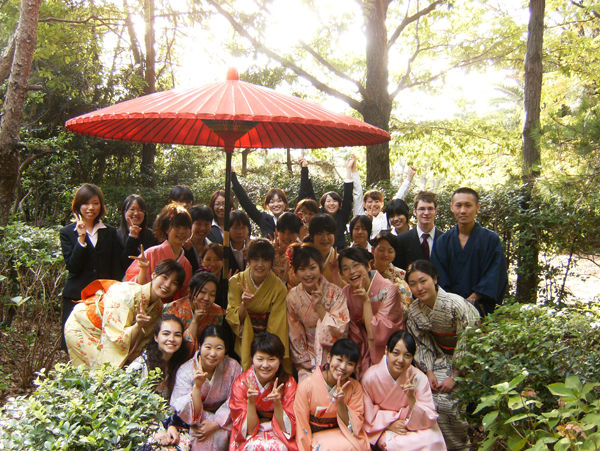 IES Abroad: Tell us about How to Work, Travel, and Study in Japan. What made you decide to write it, and what makes it unique? ND: Before going to Nagoya, I read every travel guide on Japan that I could find. Most travel guides to Japan focus on sightseeing, which is wonderful, but no “Top 10” list will help you when you have a fever and need to figure out how to communicate with the doctor, even though you just started studying Japanese. How to Work, Travel, and Study in Japan contains the tips and tricks I’ve learned (sometimes the hard way) from living in Japan so that other people can get the most out of their international experience, whether for a semester on study abroad or a few years working with a company. I decided to write this book for other people eager to have their own fantastic, unique experiences working, traveling, and studying abroad in Japan. IES Abroad: What experiences did you have that contributed to your deep knowledge about working, traveling, and studying in Japan? ND: After graduating from Vassar College with a BA in English and Japanese, I taught English to elementary and middle school students in Osaka, where I lived during the 2011 Tōhoku earth­quake. At the end of the school year, I moved to Tokyo, where I began working for a Japanese company. Since returning from Japan, I’ve worked with Japanese high school students from the regions most directly affected by the 2011 T­ōhoku earthquake and tsunami. IES Abroad: What is the most surprising tidbit you share in your book? ND: I think the most surprising tip in the book is actually the sheer number of inexpensive and/or free resources there are to enhance your Japan experience, regardless of your Japanese language ability. The “Resource List” in the back of the book details all the businesses and websites that offer helpful services/products for foreigners living in Japan, and especially motivated students might be interested in the “Essential Studying Resources” chapter before they leave. For more information about the book, please visit http://worktravelstudyjapan.com. IES Abroad: What are you up to now? What are your future plans? ND: If there’s one thing that studying abroad taught me, it’s to be open to new experiences. This fall, I will pursue an MSc in Modern Japanese Studies at the University of Oxford in England and continue my work as a writer specializing in Japanese culture and history. IES Abroad: What is the best piece of advice you would give students who are thinking of studying abroad? ND: Before you leave, make a list of all the goals you have for your experience abroad—places you want to go, foods you would like to try, and any language milestones you wish to reach. It’s easy to get caught up in the whirlwind of new experiences that is study abroad, and then realize four days before your flight home that there were 12 cities you wanted to visit. Create a list of everything you want to do. Nothing is too small for this list. Post this list somewhere prominent in your apartment or dorm room so that in all the excitement of a new experience, you stay focused on what motivated you to study abroad in the first place. IES Abroad: Anything else you’d like to share? ND: Have a fantastic time. Write thank you notes when you get back!